Following months of rumors, Sony Pictures Entertainment and Columbia Pictures have confirmed that Aaron Sorkin has been selected to write the screenplay for a movie based on the life of Apple co-founder Steve Jobs. Sony purchased the rights to create the film just days following Jobs’ death in October 2011. Sony reportedly approached Sorkin from the get-go to write the screenplay for the film. In November, E! caught up with the scribe at an art event in Santa Monica where he told them that he had been approached by Sony to do the film and that he was “strongly considering” it. Sorkin won the Academy Award for best adapted screenplay for The Social Network. His other screenplays include Moneyball, Charlie Wilson’s War, The American President, Malice and A Few Good Men. /Film highlights that in addition to his achievements, Sorkin seems like a great candidate for the film because he was friends with Jobs in real life. This could give him the insight to paint an accurate representation of Jobs’ personal life. 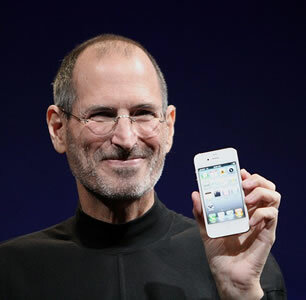 The biopic will be based on Walter Isaacson’s best-selling biography titled “Steve Jobs”. The biography became Amazon’s best-selling book of 2011 as it moved over 2.2 million copies following its October 24 release. It will be interesting to see who Sony selects to portray Jobs in the film. A separate indie flick titled “Jobs” starring Ashton Kutcher is already under way, directed by Joshua Michael Stern on a script from Matt Whiteley. That picture will chronicle Jobs’ life from his teen years through the co-founding of Apple.